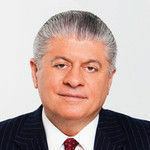 Napolitano: Is the Affordable Care Act unconstitutional? Here we go again. The legal battle over the constitutionality of the Affordable Care Act — Obamacare — will soon be back in court due to the largely unexpected consequences of a series of recent events. When the ACA was enacted in 2010, it was a stool with four legs. The first was a declaration that access to professional health care treatment — even for preexisting conditions — is a right to be guaranteed by the federal government. Second, that all people in America are legally required to have health insurance or be assessed for the cost of an insurance policy by the IRS — this is the so-called individual mandate. Third, that all employers of 50 or more full-time employees provide health care insurance to their employees. And fourth, that the federal government would micromanage the delivery of health care and, along with the states, orchestrate and subsidize health care for those who did not receive it from an employer. When the legal challenge to the ACA was before the Supreme Court in June 2012, the core issue was does the Commerce Clause of the Constitution — which delegates to Congress the power to regulate interstate commerce — empower the Congress to compel people to engage in it by purchasing a health insurance policy. As the late President George H.W. Bush liked to ask: Can Congress force me to eat broccoli? When the Supreme Court took a preliminary vote after oral arguments on the constitutionality of the individual mandate, the tally was 5 to 4 to invalidate it. Then Chief Justice John Roberts had second thoughts. He saw the polls, which showed Mitt Romney safely ahead of President Barack Obama in the then upcoming presidential race, and Republicans looking good to capture Congress. He reasoned to his colleagues that it would be better for history and the court’s legacy if the political branches invalidated legislation as controversial as the ACA, rather than the court. So, he went along with the finding that the Commerce Clause does not confer the power to compel entry into interstate commerce, but he needed a way to salvage the individual mandate. Breaking with the five-member conservative majority on the court, he reasoned that while Congress cannot regulate everything under the sun (its powers to regulate are limited by the Constitution), it can tax anything under the sun. So, if the IRS assessment visited upon those who fail to acquire health insurance is a tax, the individual mandate is constitutional. This was a novel argument, in large measure because the litigants challenging the constitutionality of the individual mandate and the Department of Justice defending it all argued to the court that the IRS assessment was not a tax. President Obama had promised voters that the federal micromanagement of health care would not add to individuals’ tax burden, and the challengers called the assessment a penalty so as to trigger a hearing for each person as to whom the IRS imposed an assessment. Can the court characterize a statute as a tax when all the litigants in the case, including the government, have insisted it is not? If a jury is hearing an intersection collision case and all witnesses testify that the traffic light regulating the plaintiff’s vehicle was green, the court must instruct the jury that it may not find that the light was amber or red because the jury and the court are bound by the evidence before them. But the Supreme Court is infallible because it is final, as Justice Robert Jackson once observed. It can do what it wants and call a penalty or an assessment or a command to eat broccoli a tax. By doing so, the ACA was saved. Then, in 2016, Donald Trump was elected president, and a Republican Congress in 2017 enacted new tax laws that invalidated the individual mandate; there is no longer any IRS consequence for individuals who fail to obtain health insurance. When the ACA, minus the individual mandate, was challenged last year, a federal judge ruled the ACA unconstitutional because there was no tax in there to salvage it. Notwithstanding President Trump’s views, the Department of Justice defended the Affordable Care Act, as is its lawful obligation. Now, on appeal, the DOJ says it will not defend Obamacare. It is almost unheard of for the DOJ not to defend on appeal a constitutional challenge to a federal statute, particularly a statute that the Supreme Court has upheld, and especially a statute that the DOJ just finished defending in a trial court. The courts are incredulous, and skeptical, when the DOJ changes its position 180 degrees during a case. That change can seriously undermine the credibility of the DOJ. Also, it can undermine the president’s fidelity to his oath of office — to uphold and defend laws whether he agrees with them or not. Yet, the present statute is not the same statute that the Supreme Court upheld in 2012. The feds cannot order me to wear a red necktie, but they can tax me if I don’t. No tax, no red necktie. What will the courts do? Politically, this is a serious problem for Republicans. History shows that once a governmental benefit — here, subsidized health insurance with guaranteed coverage for preexisting conditions, now enjoyed by 21 million Americans — begins to flow, it is nearly impossible politically to stop it. Thomas Jefferson and Alexander Hamilton, who hated each other, did have one public point of agreement. Namely, if the public treasury becomes a public trough, and the public recognizes that, voters will only send to Washington those who promise to bring home the biggest piece of the pie — even if it is unconstitutional.